Bret Holmes might be one of the most exciting and talented young drivers to come out of the state of Alabama in recent memory. As he travels to and from Auburn University, where he is a sophomore in building science, Bret focuses on school and racing to secure his future in the ever-changing world that surrounds him. This 20-year-old racing savant has quickly become a mainstay in Pro Late Model, Super Late Model, and ARCA racing all over the nation. In 2016, Holmes debuted in the ARCA Racing Series, and in only a limited seven-race schedule, brought home six top-10s. However, that was not his first taste of success. The Munford, Alabama native grew up around racing. Living only a few miles from the iconic Talladega Superspeedway and Talladega Short Track. He knew at a young age that racing was in his blood. 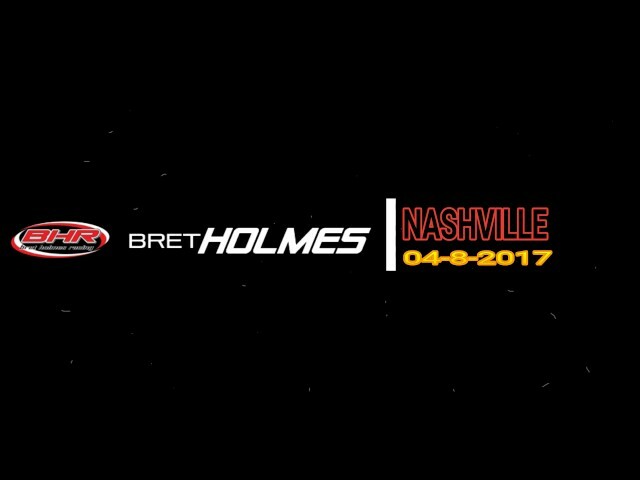 His father, Stacy Holmes, also a racer for many years, held the record at Talladega Short Track until Bret took over the honor in 2013. Holmes has won at every level of racing since he began at the age of 8. Starting back then, he raced go-karts for four years and racked up consecutive seasons of 17, 18, and 25 wins each. From there, he moved into his first year of asphalt racing. After making the switch to paved track, Holmes went back and forth between dirt and pavement. During this time, he competed in the Crate Late Model Division at Talladega Short Track and Green Valley Speedway. He won this championship and accumulated two wins during that season. From there the focus went to Super Late Model, as he raced in the Southern All Stars Series. He dominated his competition and finished second in points; winning rookie of the year. After many years of honing his skills on dirt, Bret once again went full-time to asphalt. He joined the Lee Faulk Racing and Driver Development team out of North Carolina and began to start the process of mastering, yet another skill. He raced in the NASCAR Whelen All-American Hometrack Series until he decided to make his next move. After coming back to run out of his family shop in Alabama, Holmes continued his pursuit of paved racing glory. Just like in all the other series he had ever participated in; success was once again coming to the H2 car. Holmes won the 2015 "Show Me the Money Series" Pro Late Model championship at Alabama’s Montgomery Motor Speedway. He then went on to finish third in the 2015 "Snowflake 100" at Five-Flags Speedway in Pensacola, Florida. In 2016, Holmes added another notch in his racing belt when he won the Pro Late Model Track Championship at Five-Flags Speedway while maintaining an average finishing position of 3.5 at the iconic Florida track. Also, in 2016, Holmes started his ARCA career that became highlighted by seven races throughout the 2016 season. In his limited number of starts, Holmes managed three top-5 and six top-10 finishes. In 2017, Holmes competed full-time in ARCA with great success. After winning the SCOTT Rookie of the Race at Daytona in February, he went on to compile 12 top-10 and two top-5 finishes. He also managed to finish third and sixth respectively in the SCOTT Rookie of the Year and driver championship standings. As his future continues to get brighter each day, Holmes looks towards the 2018 season as his next big challenge. 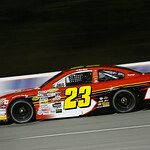 All be it a tough one, this team is doubling-down on a promise to dominate the ARCA Racing Series one track at a time. 2013 – Moved to Super Late Model division on dirt. 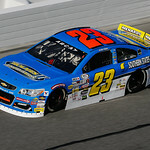 Raced in Southern All-Stars series; finishing second in points. Won Rookie of the Year honors as well with two wins and set the track record at Talladega Short Track. 2015 – Won Show Me The Money Series in Pro Late Model at Montgomery Motor Speedway. 2016 – Won Pro Late Model Championship at Five Flags Speedway in Pensacola, FL. In seven ARCA races, he finished inside the top-10 in six of them, including being named SCOTT Rookie of the Race at Nashville. 2017 -- Finished third in SCOTT Rookie of the Year standings in his first full season of ARCA competition along with 12 top-10's and two top-5's.